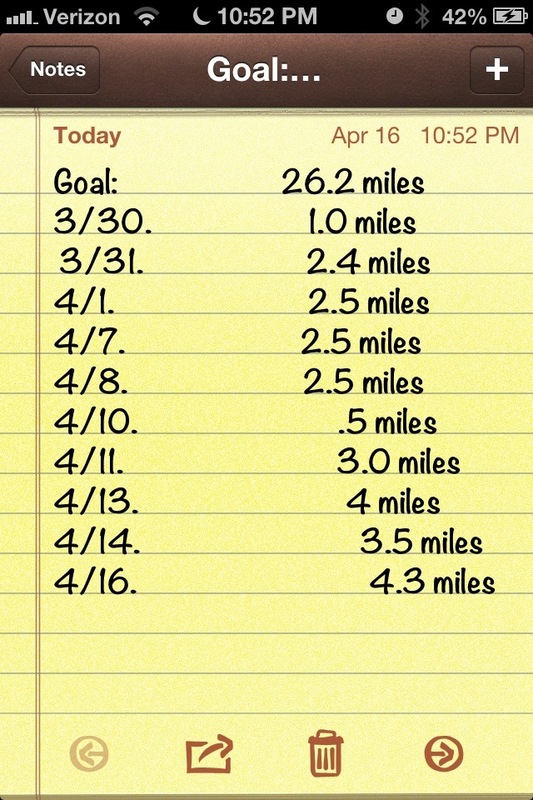 I made a goal on 3/30 to walk 26.2 miles (not all at once…a little day by day) and I finished today! It feels good to be walking and doing WW points plus! Well, off to finish the book Room! It is so good. This entry was posted in Uncategorized and tagged 26.2, exercise, marathon, walking. Bookmark the permalink. Awesome, friend!!!! I am so proud of you.